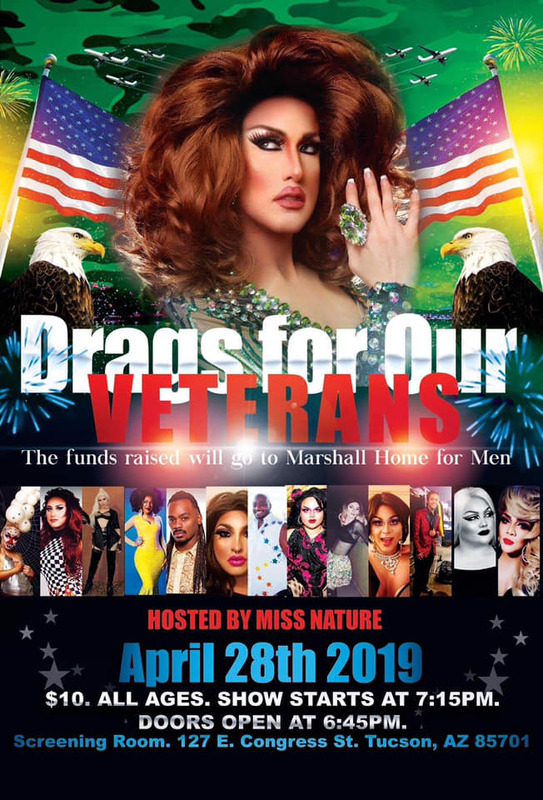 On April 28th, a group of 15 performers from all over Arizona will be getting together to raise money for Marshall Home For Men. Our goal is to raise $2,000. Marshall Home for Men is a local non-profit, state-licensed personal care facility for elderly men with limited means. All money collected for door sales and tips raised during the performances will go towards the cause. All performances will be in honor of our veterans from all branches of service (Navy, Army, Marines, National Guard, etc.) All performances will stick to this theme. This event is open to all ages to attend. Some performances may contain curse words and risque’ performances but will be held to PG-13 standards. The attendance of youth is at the discretion of the parent(s). Some alcoholic beverages and snacks will be available for purchase at the front. Ticket sales for this event will open up on December 26th. An interpreter will be available at the event to interpret for those who are Deaf and hard of hearing.